Rises in the cost of energy, petrol and diesel, along with higher prices of some groceries, have pushed up the rate of inflation. One of the biggest rises was in home-heating oil, which shot up by 29.4pc in the year to June. This means a 1,000-litre fill has gone up from €550 last year to €712 now. It comes as the European Commission said Ireland was set to be the fast-growing economy in Europe this year. The European Commission predicted in its summer economic forecast that Ireland is to have the highest GDP (gross domestic product) growth in the European Union this year at 5.6pc. This is well above the GDP growth rate of 2.1pc forecast for the euro area and the EU28 for this year. GDP growth of 4pc is expected for Ireland for 2019, double the rate predicted for the EU and the euro area. 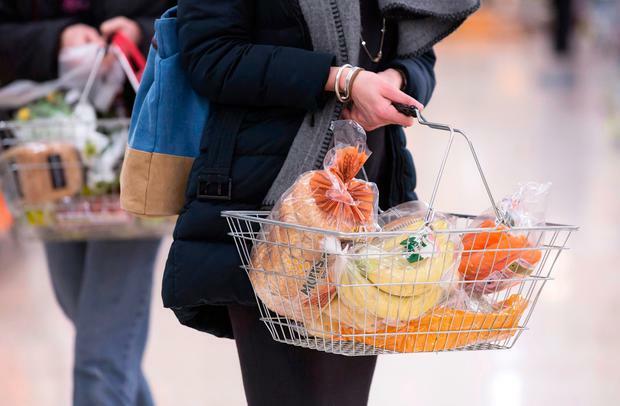 The EU predicts inflation in Ireland will reach 1pc this year and 1.3pc in 2019. This is below the 1.7pc rate forecast for the EU for both 2018 and 2019. The growth prediction comes as the Central Statistics Office (CSO) said there was another rise in rental costs last month, some diary products, and cigarettes. The statistics agency said prices on average were 0.4pc higher in June compared with the same month last year. The inflation rate was 0pc in 2016. Rises in some goods this year were slightly offset by falls in other products and services, but overall prices are up, according to the consumer price index. Prices of butter, flour, fish and cereal products were higher last month compared with a year ago. The ongoing accommodation squeeze saw rental costs soar 6.1pc higher on the year. Energy price increases announced at the end of last year have seen the costs of electricity and gas rise by 9.2pc in the past year, the CSO said. Eight energy companies have announced price rises for this year, with the first from SSE Airtricity set to be implemented from tomorrow. The rises are between 12pc and 5pc, and are likely to add up to €80 a year to the average electricity bill. Petrol is up 9.7pc, with diesel up 12.2p on the year, with higher wholesale oil prices blamed for higher costs at the pumps. Motor insurance costs are down 11.5pc in the year, according to the statistics agency, but that is not the experience on the ground for many drivers. Economist with Merrion Stockbrokers Alan McQuaid said inflationary pressures were picking up, with oil prices set to be a key determinant of the inflation rate this year. He said that with the economy continuing to grow strongly, the more immediate threat centres around increased wage demands, particularly in the public service.